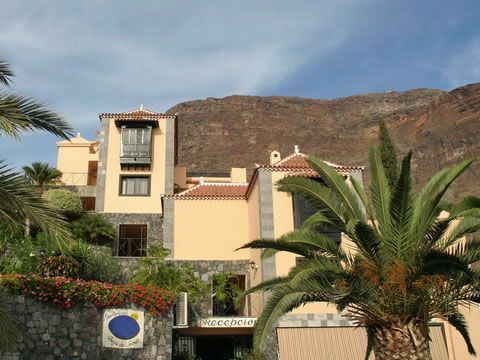 The attractive apartments of Baja del Secreto, with its roof garden, are in a quiet area of La Puntilla, separated from the ocean by only a small promenade. The small swimming bay Charco del Conde is right outside the door of the apartments Baja del Secreto. 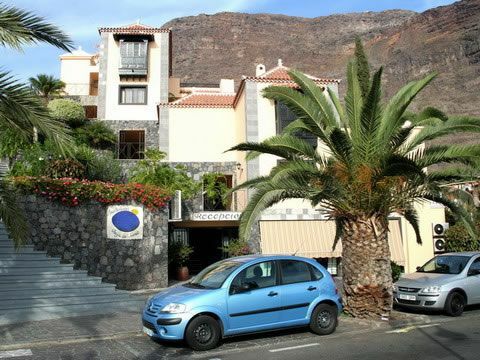 The inviting apartments in the Baja Secreto holiday complex offer up to four people a pleasant atmosphere to enjoy a relaxing holiday in the Valle Gran Rey, in the western part of the Canary Island La Gomera. A combined living and sleeping area with a bed or sofa bed, a kitchenette, and a dining area is complemented by an additional one or two bedrooms, depending on the category. Various shopping options, as well as restaurants and bars, are close by. 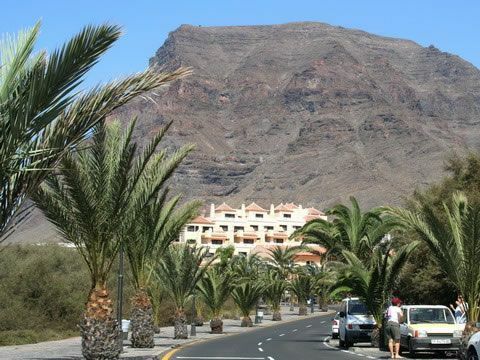 The small beach Charco del Conde is directly across from the apartments Baja del Secreto. Book the Baja del Secreto for instant confirmation.